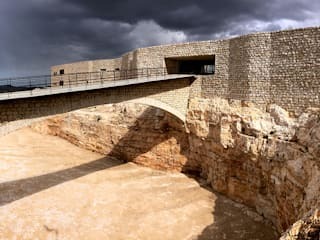 We are particularly challenged, in Khammash Architects, by the role of architecture beyond the designed object: how it shapes communities, relates to its context and impacts the eco-system. We are interested in the multi-disciplinary understanding of human intervention and look beyond the one-dimensionality of the visual. Our methodology and scope encompasses diverse fields such as history, geology, archaeology, ecology, ethnography and socio-economics, and seeks a better reading of the landscape and a deeper understanding of its anatomy and complexity. Khammash Architects started as a very small practice in the late 1980's. Early projects focused on restoration and renovation of historic sites as well as interventions within cultural and natural heritage sites. 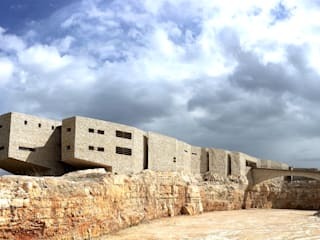 Our office later expanded and became involved in numerous projects in Jordan, Oman, Palestine, Egypt, Syria and the UAE, ranging from master planning and urban design to sustainable tourism and destination design. Projects include hotels and lodges, restaurants, museums and interpretation centers, institutional and educational buildings, residential projects and interior design. Our values can be identified in relation to our understanding of the eco-system and the toll the human intervention takes on nature or its immediate context, and we constantly attempt to maneuver our way according to what the site hints, aiming at maintaining and extending the subtle balance and coherence between the man-made and the natural environment. 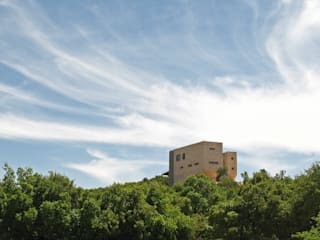 Khammash Architects started in the late 1980's, Khammash Architects is a Jordanian firm, based in Amman, Jordan.